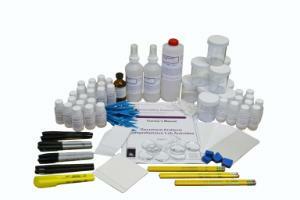 This kit has been designed to introduce students to the field of document analysis. 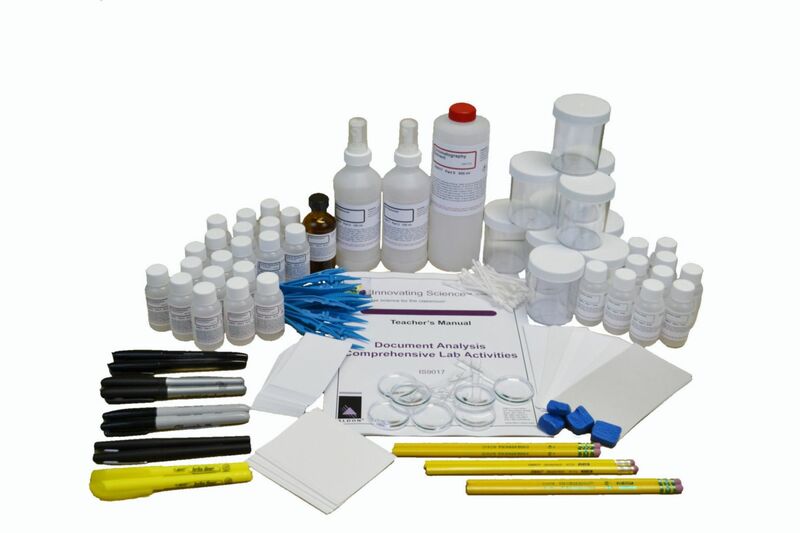 Experiments in this kit cover the areas of paper analysis, hand writing analysis, detection of a forgery, recovery of mechanical/chemical erasures, hidden message discovery and ink analysis. Students will make use of techniques like microscopy, chromatography and fuming to complete the activities. Kit contains 10 unique sets of materials for 10 groups. Teacher’s Manual and Student Study Guide copymasters are included. Experiments in this kit cover the areas of paper analysis, hand writing analysis, detection of a forgery, recovery of mechanical/chemical erasures, hidden message discovery and ink analysis. Students will make use of techniques like microscopy, chromatography and fuming to complete the activities.